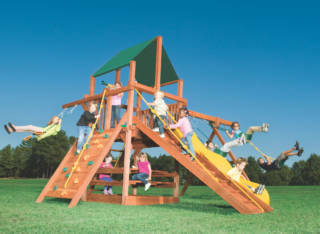 Outback playset includes Firepole, tire swing, climbing options, Super Spiral Slide, and heavy-duty swing beam. 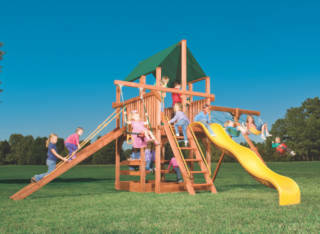 The Outback Series playset will get your kids outdoors and it will look great in your backyard! The Outback features angled ladders which are a Woodplay® original – and now an industry standard. The angled base design offers more play area, greater stability, and a sturdy foundation, making this Outback model great for uneven or sloping yards, large families or kids with lots of friends. 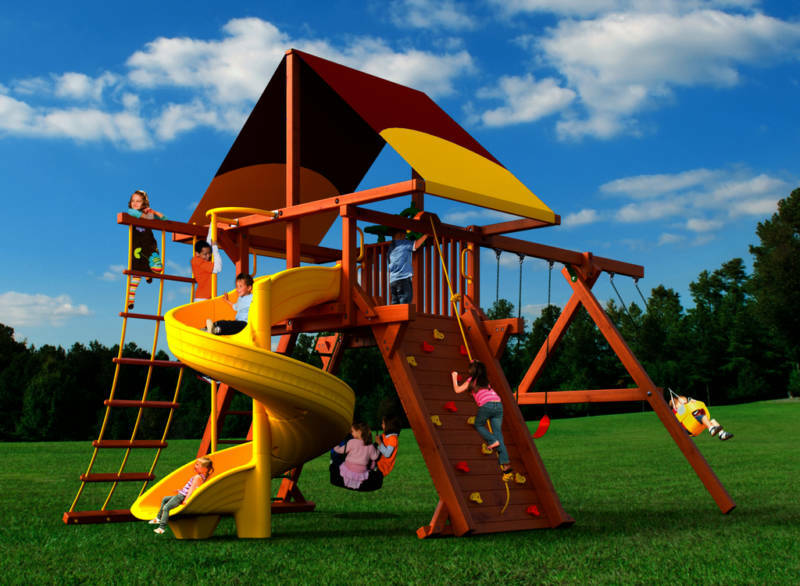 The Outback playset creates the most room “down under” the deck – enough room for a tire swing – and gives wide access to the deck from the rock wall or chain ladder! 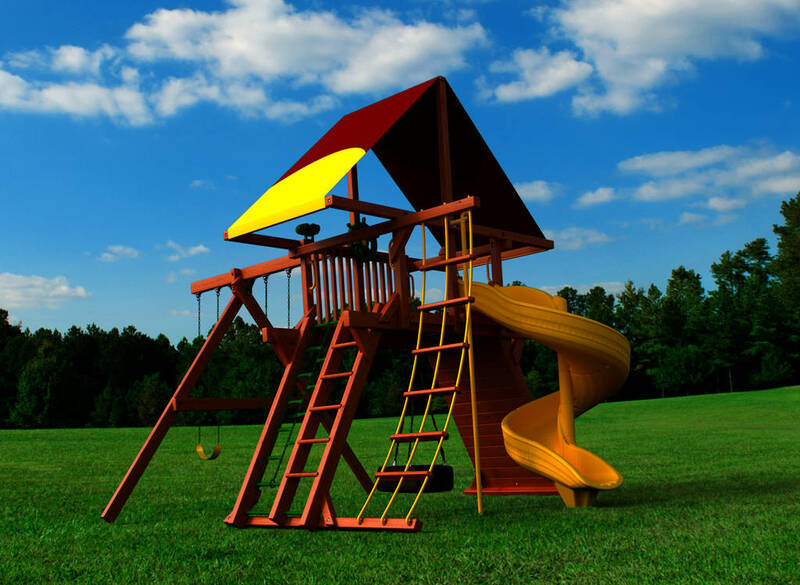 With room for several swings, three climbing add-ons, and two on-deck accessories, this wood swing set has a bit of everything to keep kids playing happily for hours.